Recipes? Yes, you read it correctly. I didn’t include recipes in The Queen of Fats (except for Ralph Holman’s high omega-3 cake) because it didn’t seem appropriate for a book with such a strong scientific and narrative thread. But I would have liked to share with readers my favorite foods that are rich in omega-3s. And so I thought I’d put them on this website, along with pictures, sometimes, of where the foods were grown. These recipes are certain to be seasonal -- since I’ll post them soon after I make them -- and simple enough for even the most basic of cooks. It’s April and spring in New York where I live so my first postings are going to call for a lot of greens, especially watercress which grows wild in a stream behind my house. One handful watercress, washed, dried, and coarsely chopped. Two beaten eggs, preferably omega-3 enriched eggs (more about these later). Teaspoon of butter (or a mixture of butter and olive oil). Heat the butter in a small frying pan and sauté the watercress very briefly, until wilted. Add the eggs and stir with a fork until cooked. Serve with toast or oven-roasted potatoes and a salad, depending on whether you'd like this meal to be breakfast, lunch, or dinner. The most important thing that everyone needs to know about omega-3s is that these fats, which are essential to our hearts, brains, and every other organ in our bodies, originate in green leaves, including phytoplankton, the green leaves of the ocean, -- not in fatty fish, as many think. 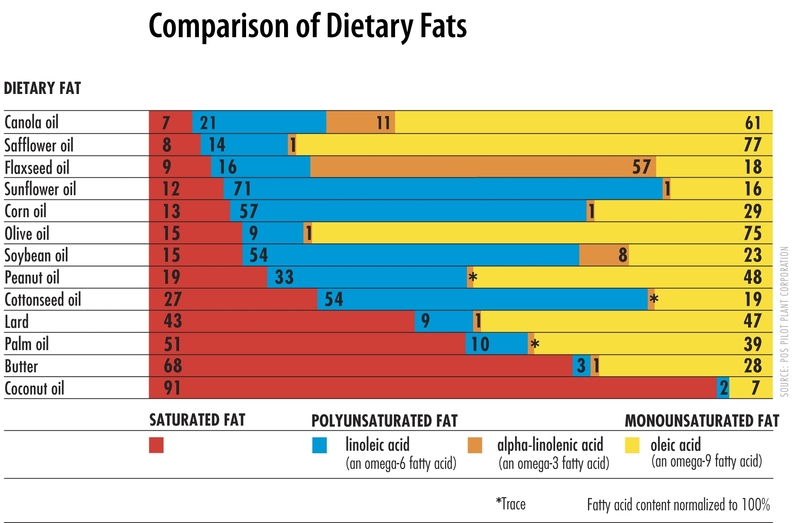 Competing fats, omega-6s, are much more prevalent in seeds. Adding more omega-3s to your diet, and your body, is no more complicated, therefore, than eating more greens (and animals that eat greens, including fish) and fewer seeds and seed oils (and animals that eat seeds and seed oils). 7-8 large bunches watercress, washed, dried, coarsely chopped (about 12 cups) and sauteed in a little olive oil, until wilted. Your favorite pie crust, prebaked for 15 minutes to produce a crusty bottom. Beat eggs and add cream, salt, and pepper. Wilt the watercress in a frying pan with a little butter or olive oil, then add the potatoes. Spread this mixture in the bottom of a pie shell. Pour cream mixture all over and bake at 350 until firm and golden brown on top. Let cool for 10 minutes or so before slicing. Serve this smokey quiche with a salad, even a salad of more watercress. Omega-3 Tip of the Week: Omega-3 enriched eggs are available in most grocery stores and are one of the easiest ways of adding omega-3s to most diets. They're made by feeding chickens a diet that is high in omega-3s -- from flax seeds, fish oil, algae, or some combination of all three. Regular supermarket eggs, from chickens fed a diet rich in corn and other grains, are high in omega-6s, a family of fats that compete with omega-3s but have very different effects on human health. If you're concerned about the living conditions of the chickens that provide you with eggs, look for omega-3 enriched eggs from cage-free chickens. If you're concerned about possible contaminants in fish meal, look for eggs from chickens fed algae or a vegetarian diet. By the way, the eggs of free-range chickens, chickens that are free to forage for themselves on insects and greens, should be naturally rich in omega-3s. They won't be, however, if those chickens are fed large amounts of corn once they're back in their coop. After watercress, nothing says spring to me like wild leeks, or ramps. I dig them with a narrow trowel, wash them throughly and slice off the root hairs, then dry them and braise them, leaves and all, in hot olive oil, salt and pepper, followed by a slow simmer in a small amount of chicken stock, until the bulbs are very tender and the stock has all but boiled off. I don't know what the omega-3 content of these luscious leeks is, but suspect it is good both because ramps are greens and because they are a cool weather crop. Omega-3 Tip of the Week: Animals and plants that live in cold climates need more omega-3s in their tissues to keep them active at lower temperatures. The arugula in my garden is ready to harvest so last night my husband and I grilled steak and ate it, sliced, on a bed of raw arugula. After laying the steak on the arugula, the whole dish is sprinkled generously with olive oil and freshly ground pepper. The steak was from a grass-fed cow so it had plenty of omega-3s in its tissues, as did, of course, the arugula. One reason that the American diet is so top heavy in omega-6s is that we feed our livestock grains and seeds rather than grass. Animals that eat grass convert the parent omega-3s in these green leaves into EPA and DHA, the omega-3s most people associate with fish. Animals that eat corn and other grains convert the parent omega-6s in seeds and grains into arachidonic acid, a fatty acid that promotes inflammation and blood clotting. So choose grass-fed meat, milk and cheese whenever you can. The meat may be a little tougher than corn-fed meat (some is; some isn't) but it's more flavorful and doesn't carry the medical price tag of a diet rich in omega-6s. I make this soup throughout the summer and the greens I add vary greatly. Sometimes I throw in baby zucchini and cucumbers; sometimes it's all greens. I don't add sorrel, which I have plenty of in my garden, if I want the soup to be a bright green. Even small amounts of sorrel will turn it army green. Steam 3 Cupfuls or so of mixed greens: beet leaves, swiss chard, purslane, lamb's quarters, parsley, borage (small leaves and flower heads), kale and brocolli florets in a small amount of chicken broth. Puree with 1-2 small boiled potatoes; then add salt, white pepper and cream, milk, or buttermilk to achieve the desired consistency. Serve hot or cold with croutons or toast. Omega-3 Tip of the Week: Green leaves don't have a lot of fat in them, but what fat they do have is almost entirely omega-3s. That's because alpha linolenic acid, the parent omega-3 fatty acid, is the fat that plants use to construct the membranes of their chloroplasts. These are the membranes that are responsible for photosynthesis, the capturing of single photons of light to be turned into sugar -- the basis of all life on earth. A few greens, notably purslane, actually store lots of alpha linolenic acid in fat globules within the chloroplast (to protect against photoinhibition), thus purslane's well-deserved reputation as an important omega-3 food. My family does not live on greens alone, as readers may suspect. One of our favorite ways of getting that other essential nutrient -- CHOCOLATE -- into our diet is with this very moist and rich cake adapted (slightly) from one on epicurious.com. The walnuts, canola oil, zucchini, and eggs mean that the recipe is rich in omega-3s. 1/​2 cup unsalted butter at room temp. Preheat oven to 325 degrees. Butter and flour a 13x9x2 inch baking pan. Sift flour, cocoa powder, baking soda and salt into medium bowl. Beat sugar, butter, and oil in large bowl until well blended. Add eggs one at a time, beating well after each. Beat in vanilla. Add dry ingredients alternately with buttermilk in 3 additions each. Mix in grated zucchini. Pour batter in prepared pan. Sprinkle with nuts and bake for about 50 minutes. Cool cake completely in pan. My favorite sandwich to make when it is not so hot that the idea of turning on the oven is repugnant is one of my own invention: a baked swiss chard, olive and mozzarella sandwich. I toast bread, then place it on a baking tray and pile it with mounds of washed, still damp swiss chard (it cooks down greatly). I then top this with slices of fresh mozzarella and sprinkle it with salt, pepper, olive oil, and pitted calamata olives before baking in an oven at 350 degrees until the greens are wilted and the cheese is just melted. You will need a knife and a fork to eat this open-faced sandwich. Omega-3 Tip of the Week: Beet greens and lambs quarters can also be used in this sandwich, which can easily take 1 1/​2 to 2 cups of greens. Omega-3 Tip of the Week: No recipe this week, but a woman I met just gave me a great tip for cutting back on omega-6s, a step that will result, inevitably, in more omega-3s in your eyes, brain, muscles, etc. She only buys nuts and seeds (for snacking) in their shells, thereby slowing down her consumption of these high omega-6 foods. This is how humans have always eaten nuts, of course, until very recently when they've had the option of buying them already shelled. I'm getting ready for my book signing at the Union Square Greenmarket (September 30th), where I'll be giving out lots of foods that are unexpectedly and deliciously full of omega-3s, so I went up to Fleisher's Grass Fed Meats in Kingston, NY http:/​/​www.grassfedmeat.net/​Fleishers/​Home.html to buy a fresh ham from a Berkshire, pasture-fed pig. At the same time and from the same pig, the butcher cut me a pork loin roast for a dinner party I was having that weekend, separating the ribs from the loin, in the Italian fashion, so that both could be roasted together but the loin could be carved easily at the table. When it came time to prepare the meat, I made a mixture of chopped sage, chopped garlic and coarse sea salt which I inserted into a hole I had made with a knife, through the center of the loin. After stuffing, I tied the ribs and loin together, then rubbed the outside with salt and pepper and a little olive oil. Into the roasting pan, I scattered small new potatoes to cook along with the roast. The meat was cooked at 425 degrees for 30 minutes, then at 325 degrees until a meat thermometer read 145 degrees. Every fifteen minutes or so I stirred the potatoes. This was my first taste of a Berkshire, free-range pig, one full of omega-3s from all the green plants and insects she had been eating, and it was, everyone agreed, SOME PIG. Now I'm using the leftover ribs to flavor pot after pot of bean and vegetable soup. My proportions for the stuffing were 3 tablespoons of chopped sage to 3 tablespoons chopped garlic, with salt and pepper to taste, for a 6 and a half pound roast. The meat, milk, eggs, cheese, etc. of free-ranging, grass-fed animals is much higher in omega-3s and lower in omega-6s (as well as saturated fats) than their grain-fed cousins. Another good reason to grass feed cows. In a medium bowl combine all ingedients and toss until the walnuts are evenly coated. Spread walnuts on a non stick baking sheet and bake for 20-25 minutes until the nuts are lightly browned. Allow to cool on the baking sheet, then store in an airtight container for as long as they last, which won't be long I promise you! Nuts will become dry and crunchy as they cool. For whatever reason (one that neither botanists nor nutritionists understand at this point) English walnuts are very rich in omega-3s and have a fairly low ratio of omega-6s to 3s, about 5:1. And they're so easy to add to snacks, cakes, steamed vegetables, rice, cookies, ice cream, yogurt, etc. etc! Because of their high omega-3 content, walnuts go rancid easily so keep them in the dark and use them fairly quickly. When I was looking for particularly fresh walnuts to use at the Union Square event, a spokesperson for the walnut council advised me to go to Costco where there is a high turnover, of walnuts and everything else. She was right: the walnuts were very fresh, without a hint of rancidity. The ham I made for the Union Square event came from a Berkshire pig, as I said. I was advised by the butcher at Fleisher's to brine it before roasting, which I did, for 24 hours, in a solution of 4 quarts water; 1 cup brown sugar; 1 cup table salt; 30 whole cloves and 30 or so black pepper corns, turning it once or twice. After rinsing and drying the ham, I rubbed the outside with salt and pepper and roasted it until the internal temp was 155 degrees F. Another remarkable piece of meat that was full of omega-3s. Another hit at the Green Market were the fritattas with their filling of pureed watercress and yukon gold potatoes. And they're so easy to make. First boil 3-4 potatoes in salted water until they're very tender, adding several handfuls of chopped watercress at the end so that the cooked greens remain bright green. Puree together adding a little olive oil or butter, salt and pepper. Whisk high-omega-3 eggs and add one egg at a time to a small, hot and oiled, non-stick pan. Cook until it's possible to flip the fritatta (no more than a minute) then cook the other side for 30 seconds or so. Remove from pan, spread with filling, then roll and slice into rouds. Serve hot or cold. Walnut Torte: My newest favorite dessert to serve at dinner parties. Beat egg yolks. Add sugar gradually. Stir in bread crumbs* and nuts. Beat egg whites until stiff. Fold into egg yolk mixture and add vanilla. Bake in a 9x13 pan for 20-25 minutes at 325 degrees. This recipe calls for bread crumbs but I experimented with using 1/​3 cup of a ground flax seed product I got from Natural Ovens Bakery in Wisconsin -- with great results. The product is called Ultra Omega Balance and keeps very well in the refrigerator (I've had my supply for 2 years with no sign of rancidity and add it to bread mixes as well as this dessert.) The flax seed boosts the omega-3 content of this already omega-3 rich dessert. I also use omega-3 enriched eggs in this recipe. The same cookbook that supplied me with the recipe for the Walnut torte, above(The Napa Valley Walnut Cookbook by Michelle Turner) has a simple and delicious recipe for a walnut butter that could easily come to replace peanut butter in my affections. Put the walnuts salt and oil into a food processor and pulse, stopping frequently, until the nuts are fully pulverized and creamy. I've store my butter in a dark jar and spread it on toast in the morning. Smart Balance has recently introduced a peanut butter with a clever twist. They combine peanuts with flax seed oil to make a high (and yummy) omega-3 food (1 gram of omega-3s per 2 tablespoons; with an omega-6 to omega-3 ratio of 1.3:1). This is a great spread to give to children to boost the omega-3s content of their diets. Omega-3 Tip of the Week: Most edible seeds and nuts have many more omega-6s in them than omega-3s, but walnuts, flax seeds, and butternuts are fortuitous exceptions. The Smart Balance peanut butter shows how easy it will be to produce foods with a healthy omega-6 to omega-3 ratio -- once food producers and the public recognizes this as an important goal. Using a small, sharp knife, cut grooves into the leg and insert slices from 2 cloves of garlic. Coat heavily with the marinade below and roast according to the directions you usually use. Let rest for 10 minutes or so before carving. Omega-3 Tip: Lamb raised in New Zealand is pasture fed and has more omega-3s and fewer omega-6s in its tissues. Lamb raised in the United States is given more corn and other grains and has more omega-6s. So choose New Zealand lamb over domestic lamb -- unless you know where that domestic lamb came from and how it was raised. Omega-3 Tip: My daughter and I spent a week in Yosemite recently (my first time in that heavenly valley), and we ate mountain trout every chance we had. I was reminded of the fact that trout have a special adaptation for producing long-chain omega-3 fatty acids. Trouts are salmonids, descended from ocean-going fish that had ready access to DHA and EPA in the plankton and fish they ate and no need to make these important fats themselves. As trout became exclusively fresh water, they acquired this adaptation somewhere along the way and now have an omega-3 content that equals many salt-water fish. Scrambled eggs with chanterelles and potatoes. Saute the mushrooms and boiled potatoes in butter and add salt pepper to taste. When the mushrooms are well cooked, add scrambled eggs and cook until the desired consistency. Garnish with parsley and serve with hot bread and a salad. This recipe can be doubled, tripled or quadrupled. Omega-3 tip: My daughters and I had this chanterelle omelette in Paris one summer, and we've been making it every since. It's a great way to stretch those precious chanterelles and to make them into a complete, omega-3 rich dinner. Beat eggs. To this, add sugar, zucchini, and oil and mix well. Sift all dry ingredients together and add to mixture. Add nuts and vanilla. Bake in a greased pan at 350 degrees for 1 hour 15 minutes. Makes 2 small loaves. Omega-3 tip: My daughters made their reputation as bakers with this tasty bread. It's our favorite way of using up excess zucchini, and it freezes well. The zucchini, eggs, walnuts and canola oil are all sources of omega-3s. Mix together fist ingredients and form into 8 3inch patties. Let sit, loosely covered, in refrigerator for an hour. Roll in cracker crumbs and fry in a mixture of canola oil and butter. Serve with lemon wedges and a cucumber salad. Omega-3 Tip: I tried this simple recipe on the advice of a friend recently and am now hooked. It is the fastest, easiest, most convenient fish recipe I know, and it uses small fish, low on the food chain but full of omega-3s. Omega-3 Tip: This isn't a recipe, but I was so excited to find Anchor Butter in my supermarket this week that I had to tell my readers. This butter, produced in New Zealand, is from the milk of cows that feed on grass 365 days a year. So it is higher in omega-3 fatty acids and lower in the competing omega-6 fatty acids. Use it sparingly since like all butter and oils is is loaded with calories. But this is a great product for those of us who don't have access to butter from local, grass-fed cows (always the best alternative but not always easy to find). It costs somewhat more than commercial butter (about $6/​pound) but doesn't carry the steep medical price tag of high omega-6 fats. Anchor Butter is well known in England and distributed by Fonterra. Maybe you can get your local grocery store to carry it. Combine the onion, shallots and wine in a large pot and simmer for 5 minutes. Add mussels, cover and cook over high heat until all the mussels have opened. This will take about 4 minutes, and it helps to periodically shake the pot. Add butter, chopped parsley and season the broth with salt and pepper. Serve in individual bowls, discarding all unopened mussels. Have an extra bowl for the empty shells and plenty of bread. Mussels and oysters are a great choice for people who love seafood but worry about overfishing and/​or the contaminants that accumulate in large fish. Because these mollusks are filter feeders, they don't require feeding (just a good, clean, healthy water source), and so they can be farmed without any adverse effects on the environment. They're rich in omega-3 fats and low in omega-6 fats, of course. And inexpensive to boot! Nighttime temperatures have fallen. The kale and collards in my gardens have been “sweetened” enormously by the frosts. And so I spent the day yesterday picking different greens from my garden (and the gardens of friends) to make the base for green gumbo or gumbo Z’herbes. The greens included kale, collard, sorrel, chard, beet and mustard greens from my garden and parsley and leeks from my neighbors’ (the exact combination is not unimportant; what is important is variety), to which I added chopped carrots and celery from the fridge and some spinach I had in my freezer. The recipe I used was a hodgepodge of different recipes; but the result was delicious and will be the centerpiece of our Christmas Eve dinner. I reconstruct it here but the reader should feel free to play with any and all of the ingredients. Once tasted, you’ll think differently about collard and kale. Heat the oil in a heavy pan. Slowly add flour, whisking constantly. Whisk (off and on) for 10 minutes or so until the roux is a golden peanut color. In a heavy pan melt 1 tablespoon or so of butter and sauté the chopped white portion of 2 leeks, 2 carrots, 2 stalks of celery, and 2 cloves garlic. Add 6-8 cups chopped greens and simmer, stirring occasionally, until the greens are very tender. Add 1 heaping tablespoon gumbo file (sassafras leaves), 1 teaspoon thyme leaves, cayenne pepper and salt to taste, then stir the vegetables into the roux. Pulse the mixture briefly in a cuisinart for a more even constituency. This base can be frozen until needed. To make the final gumbo, thin the base with chicken broth and add any combination you like (or have at hand) of chopped, sautéed kielbasa or ham and shrimp, crab, and lean fish like halibut. Serve with boiled white rice. Serves 8-10. Omega-3 Tip: I know you don't need to be told but the canola oil, greens, and seafood in this rich, satisfying soup are all good sources of omega-3s. It is a great use for all the late greens in your garden or grocery store. You’ve heard of No Child Left Behind. Here are ten foods that every American child* should have to keep from being left behind**, ten foods that will provide a better balance of Omega-6s and Omega-3s in a child’s brain — and every other tissue in his or her growing body. The first food on the list is for infants; the rest are for older children. 1. Breast milk – for many reasons, including the fact that no formula matches breast milk in terms of the essential fats. 2. Lots of fresh fruits and vegetables – for many reasons too, including the fact that green leaves are the source of all omega-3s. 3. A whole grain cereal with no added fat and very little sugar to which children can add their own sweetener (if desired) and fruit. My current favorite is Nature’s Path Flax Plus (which also provides 500mg of omega-3s/​serving). Oatmeal; cream of wheat; cheerios; Skinner’s raisin bran; rice, corn, and wheat chex; shredded wheat; wheat puffs; and grape nuts are all good breakfast cereals. 4. Omega-3 enriched eggs (for meals and for puddings and baked goods). 5. Smart Balance Peanut Butter or homemade walnut butter (for sandwiches and snacks). 6. Healthy breads and crackers in the home, i.e., breads (whole grain or white, whatever the child prefers) with no added fat and crackers made with fats that have a healthy balance of omega-6s and 3s, fats such as canola oil. 7. A healthy cooking oil in the home: canola oil or the Smart Balance blend. Olive oil and butter should be used on those foods (toast, salads, baked potatoes, sautéing) that specifically call for them. 8. Walnuts (with or without raisins and chocolate chips) for snacks and in salads, cakes, breads, etc. 9. A good source of fish, and 3 or 4 fish recipes that the child loves. If you don’t already have such a source, I recommend Vital Choice for their pure, uncontaminated (and sustainably-harvested) salmon, shrimp, scallops, sardines, tuna, and halibut. 10. Home-baked goods and other desserts containing healthy amounts of omega-3s, i.e., brownies, cookies, walnut cakes, and zucchini bread made with omega-3 enriched eggs, canola oil and walnuts. * I say this list is for American children because I’m only familiar with the foods in the American marketplace. **Unless, of course, a child is allergic to any of these foods.